OKAY OKAY SORRY THAT WAS MY FIRST IMPULSE, LET’S TALK THROUGH THIS LIKE TWO ADULTS. The reason that I shouted “lie!” at your face is because I cannot bear to think about you not getting to go to your prom with this wonderful girl that you’ve asked and who has said yes! This is a wonderful thing! I am so excited! I want to go to prom again! AHHH! The reason that I hesitated with my initial impulse is because, like you, I don’t want your parents to think you are being dishonest. However, I don’t think this is as simple as plain ol’ “dishonesty.” It isn’t like you are telling your parents that you are sleeping at a friend’s house so you can go to a party and get drunk and they won’t know. That’s a lie that could put you in SERIOUS hot water because you are directly disobeying them, you are potentially putting yourself in a dangerous situation, and a million other things. Maybe this is also one of your prom plans, if it is I DID NOT OKAY IT, PARENTS. The lie you are potentially going to tell (that you are going alone instead of with your lovely date), is being told because you want to have the experience of going to prom. The feeling nervous about what to expect, the wondering what you should wear, the hoping you’ll make out before the night ends, the dancing together to a song that you’ll hear on the radio 15 years from now and still feel those same glittery, stomach-squeezy feelings you had on prom night. You deserve that, and if you think that it might be taken from you, I think I am going to stick with my gut on this one: lie. Then, when you do come out to your parents, include those feelings and that decision. Tell them that it killed you to be dishonest with them, because you want them to know that they can always trust you, but that you were so afraid that an important memory and experience might be taken away from you. They should be able to understand that, and, even if they are upset with you at first… I think it is something that they will be able to wrap their minds around over time. 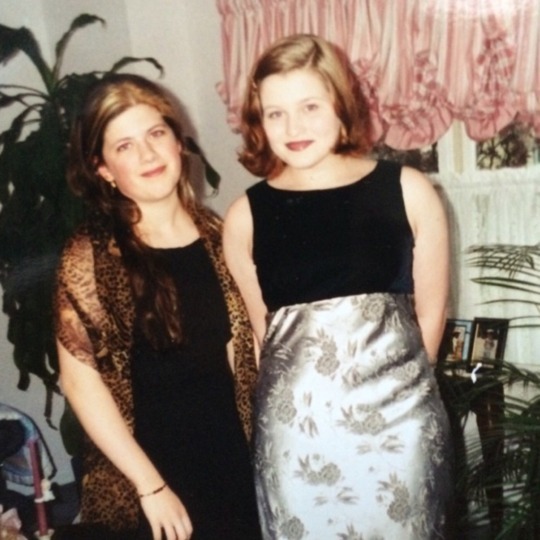 I wasn’t out to my parents or myself when I went to my junior prom, and I took a girl as my date. I told my parents we were going as friends, and I really thought we were… even though somewhere deep down I knew I would love to spoon with this girl and probably kiss a whole bunch. Coming out – whether to yourself, your parents, or anyone else – is a tricky business, and it means making decisions when and how they make the most sense for you. 1. If your parents are upset after you tell them, let them read this post. I think it will help.